Writer’s Symposium by the Sea is an annual event that brings interviews with innovative creators, life stories, examples of great writing, and evocative conversation to PLNU that inspire readers and writers alike. Past guests have included Ray Bradbury, Anne Lamott, Philip Yancey, Dave Eggers, Amy Tan, Bill McKibben, Donald Miller, George Plimpton, and many more. The evening interviews, conducted by symposium founder Dr. Dean Nelson, feature lively conversations about the stories behind the author’s stories. As a member of the audience, you will get to eavesdrop on these exchanges and perhaps even interact with the writer during a Q&A session. Specialized afternoon workshops, conducted by published writers, provide tips and insight into the writing process. You are invited to join us and listen in on what some of today’s cutting-edge writers have to say! Please join the mailing list for the Writer's Symposium now to stay updated on this year's event! Become a Friend of the Writer's Symposium! To maintain the symposium's high-quality programming, we need your help to meet our yearly goal of $50,000 in donations. Please consider partnering with Writer's Symposium by the Sea by giving a tax-deductible donation. Every gift counts, no matter the size. Friends may give a one-time donation or an ongoing monthly gift. For more information and to make a donation, become a friend of the symposium! 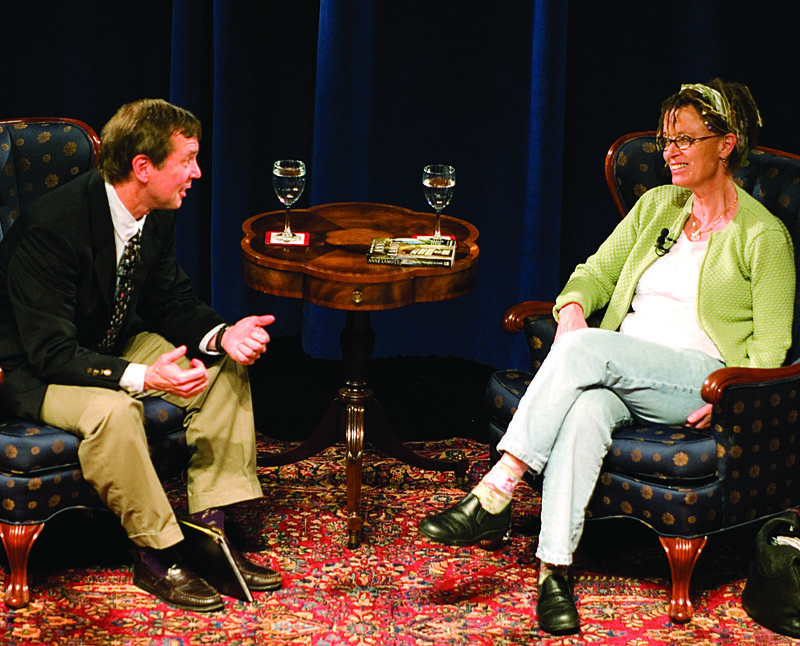 Watch past Writer's Symposium interviews online, including conversations with Anne Lamott, Eugene Peterson, Anchee Min, Bill McKibben, and many more.